There are several good reasons why people shouldn’t smoke cigarettes. They are bad for your health, they smell gross, and they cause premature aging. We all know this. But what about environmental impact? Every year, billions of trees are cut down in order to manufacture cigarettes. 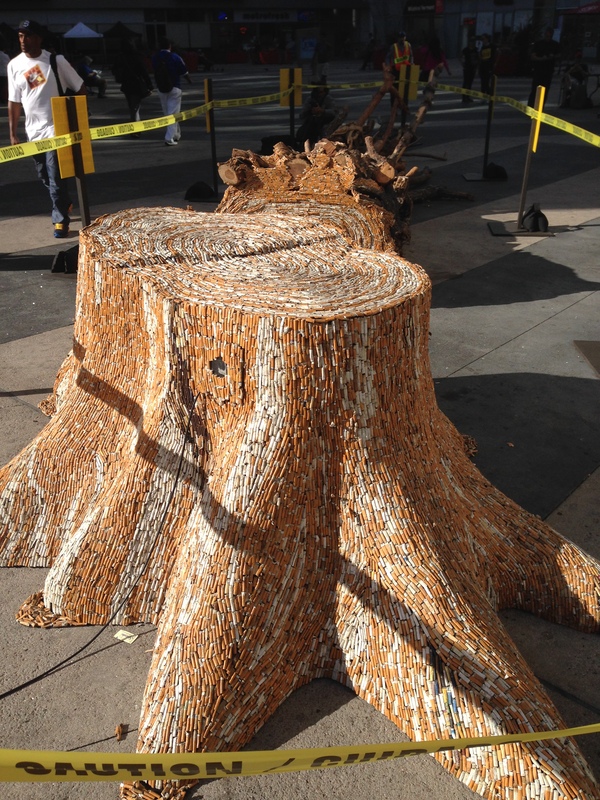 To bring awareness to this surprising fact, artist Cristo Valecillos created a giant tree made out of more than 50,000 cigarette butts. This installation is on display at the Wilshire/Vermont metro station until Friday, June 13th. I consider myself to be a well-read person, but I have never heard anything about the deforestation caused by cigarette manufacturing. We are taught as kids we shouldn’t smoke for what it will do to us individually, but never any mention about habitats that are destroyed as a result. To play devil’s advocate, I wonder just how significant this impact really is on our ecosystem compared to other industries. 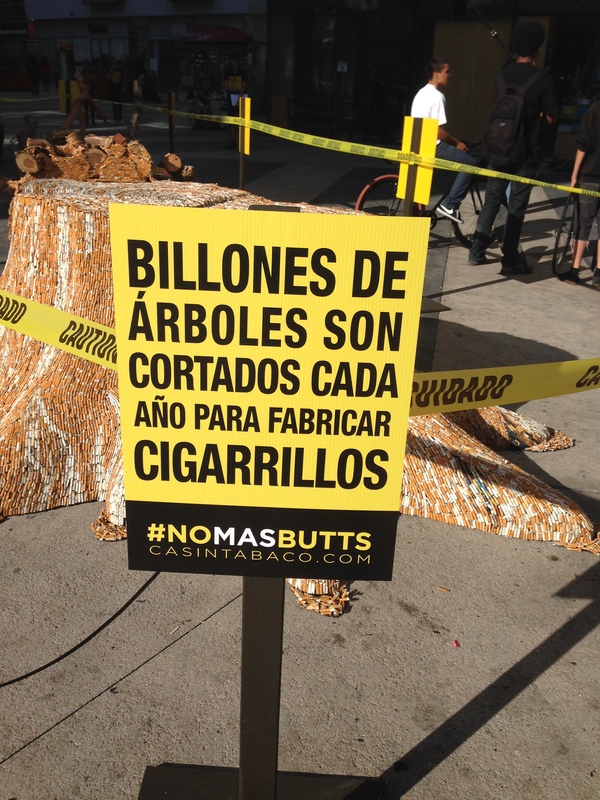 Regardless, it’s a shame that any trees get destroyed for something like cigarettes. I highly recommend you make your way to the Wilshire/Vermont metro station tomorrow to check this out. The tree looks incredible. It amazes me that something so large and realistic was created from such an unusual, and disgusting, medium. 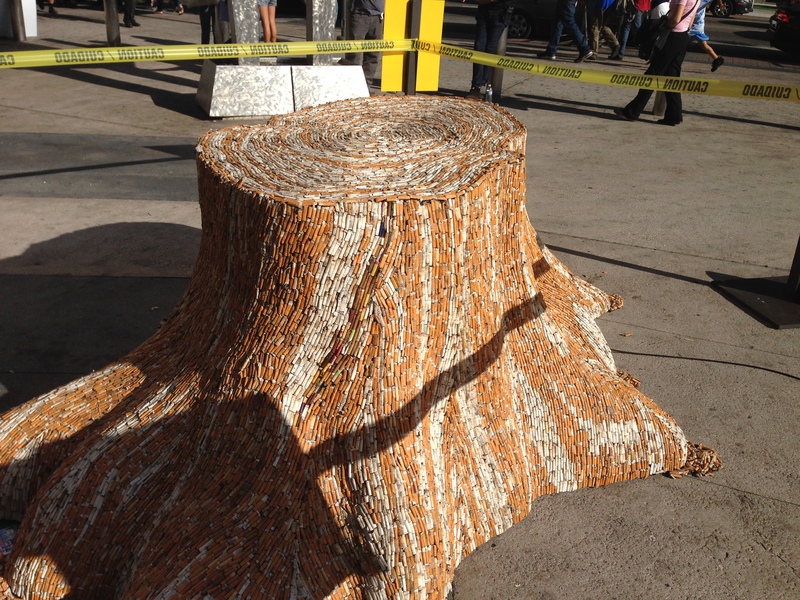 A dead tree created out of cigarette butts by artist Cristo Valecillos.